My debut novel was released on January 20th, 2015. As I look back on these past six months, I feel a summary is in order. What have I learned? The support of family, friends, and especially casual acquaintances, has been heartwarming. While the support of my immediate family and close friends didn’t come as a surprise, I didn’t quite expect such overwhelming support from casual or long-forgotten acquaintances, including fellow authors. The role that social media has played in this cannot be overstated. This is not a money-making venture. While there has been some profit, I haven’t recouped the money I invested to have this book edited, cover-designed, published, and marketed. Nor did I expect to. While I hope to someday make a living from writing, it would be naïve to expect such a thing right away. No, this is not about money. It’s about “doing what you love” – advice I heard, and ignored, for many years before finding a way to follow it. There will be more books … but patience is necessary. For a long time, I truly thought I had only one book in me. Now I’m well into the second book, but it’s moving along slowly. The key words are “moving along.” I don’t always write every day. At times I get stuck, disheartened, and disinterested, but I always go back to writing. Some are free, but most contests require a submission fee. This makes sense to me; the people administering these contests need to get paid for the work they do. 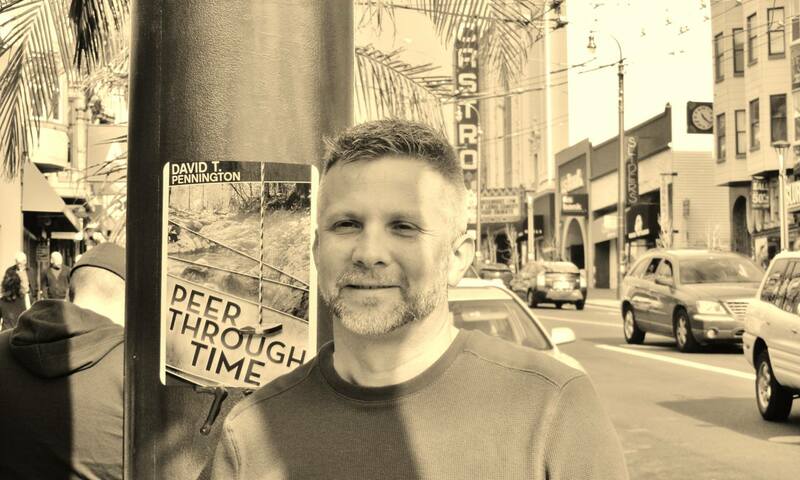 Peer Through Time did get an Honorable Mention in the 2015 San Francisco Book Festival, which was more than I hoped for. While I wonder what awards it might have won had I submitted it to more contests, I couldn’t blow my entire savings on such a gamble. The first time someone told me they wanted to read the next book, it was enough to motivate me to keep writing. A few more have said the same thing since, but even that one person was enough to make a huge difference. Just releasing a book into the world is a gamble. What if nobody cares? Am I the only person who could ever love this book? Am I being self-indulgent and stupid by spending my time on this, when I could be more successful as a computer programmer? The answer to all these questions has turned out to be that I made the right decision. Thinking about “what might have been” is unavoidable. While I refuse to wallow in regret, I can’t help but wonder how things might have been had I started my writing career a couple of decades ago, in my mid-twenties. I could have had ten or more books under my belt by now, and perhaps I could already be making a living at it. Then again, the Internet age didn’t exist then as it does now, and that has played a massively significant role in my moving forward with writing and publishing. Sure, many authors crafted their novels long before we had personal computers, technology apps, and social media … but it wasn’t my destiny to be among them. When the Internet woke up, so did I. Our perception of the passage of time is a really weird phenomenon. This I already knew, but 2015 has reiterated it. In one sense, I can’t believe more than half the year is gone. 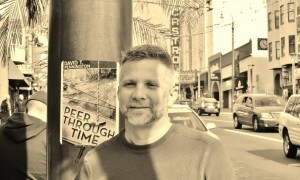 But when I peer back in time to my book release, I can’t believe how little time has passed. It’s only been six months? Why in the world, then, do I wrack myself with guilt over how slowly the next book is moving along? « Will we abuse our robots? So well thought and well expressed. What a great attitude, David! I so admire your mind and your writing and your generosity of spirit.